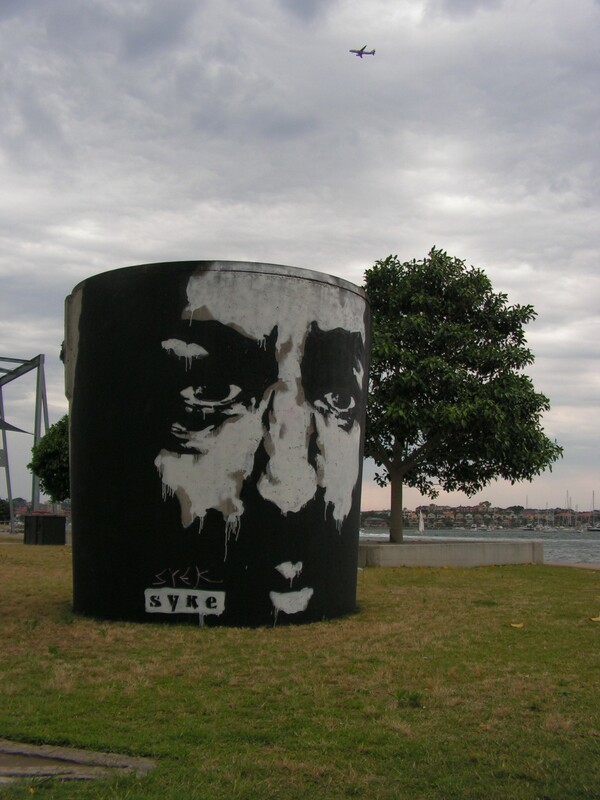 OUTPOST PROJECT 2011 ON COCKATOO ISLAND II | .:coloursundercover:. Sometimes it’s worth it to visit an exhebition another time and going to Cockatoo Island a second time was definitely the right decision. Over 50000 people already visited the place and everybody I talked to and saw on the island really enjoyed this happening. Coming week is the last chance to go, it finishes on the 11th of December. 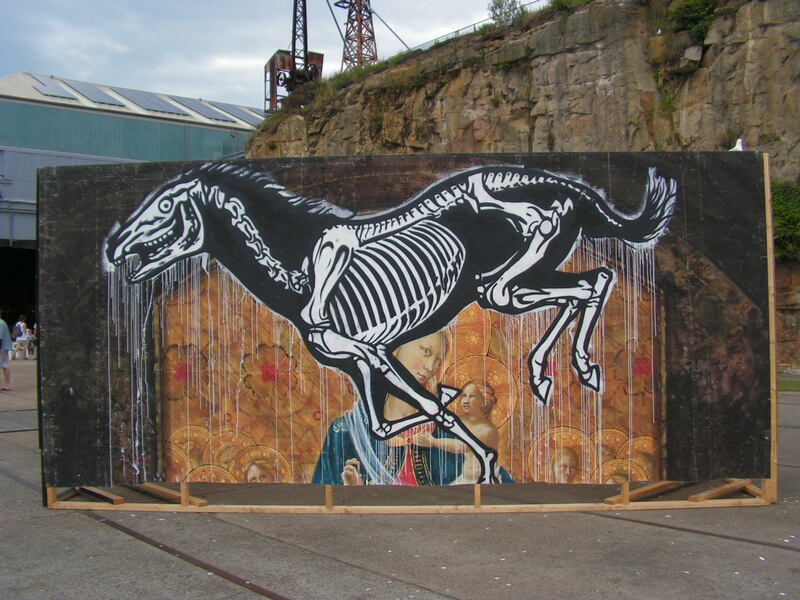 ROA’s style is pretty outstanding and unique. 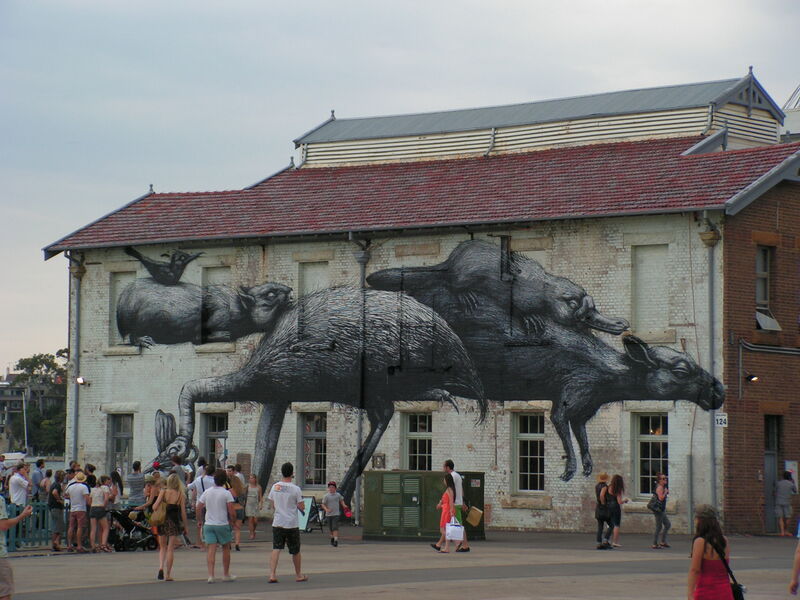 His hugh murals mainly show animals painted in black and white. 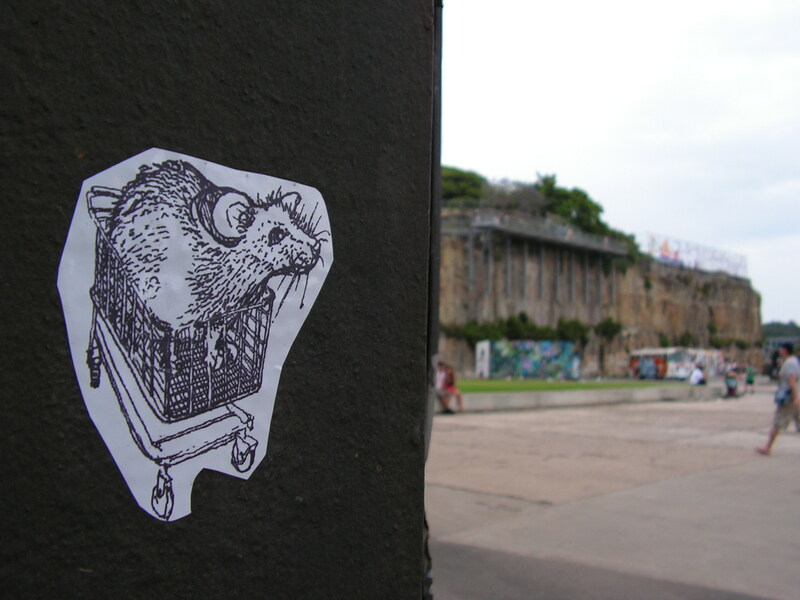 I first came across his work in Cologne, where I used to live and work for a couple of years. Later found out, that he is actually from Belgium, not far away from that city and is a world wide acting street artist. 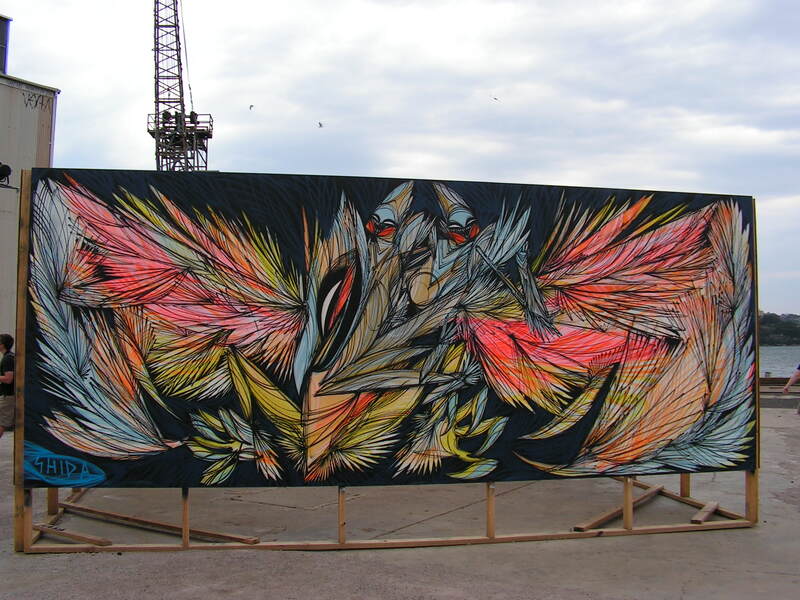 The video below shows him live painting at Cockatoo Island two weeks ago.